The amazing little Traynor DarkHorse tone-machine head needed a speaker that could keep up with it. Voila, the DHX12. 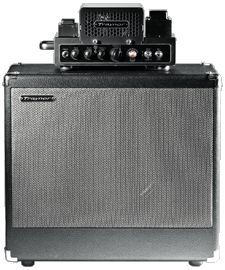 Designed and built in Canada, the DHX12 features a 16-Ohm Celestion G12M Greenback and an innovative tone gate that permits conversion from closed-back solid bottom end to classic open-back combo performance. Even if you don't have a DarkHorse, the DHX12 is likely to make your combo sound better used as an extension cab, and weighing in at a compact 35 pounds, it's even easy to carry around. 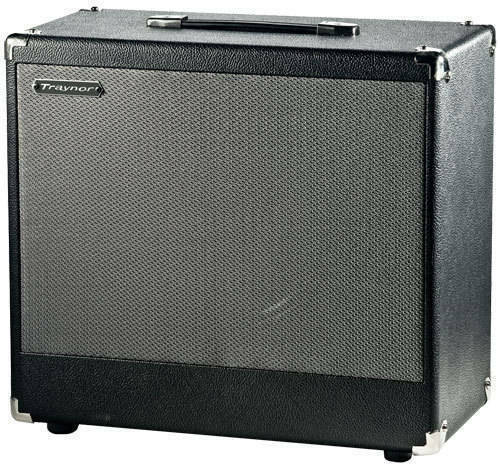 J'utilise ce cab avec un Marshall Origin 20H. Tout est parfait, bas comme haut volume, Mid, bass and treble incroyable. Bought it with the Darkhorse. No other manufacturer can bet this unit. Built to last, great speaker, versatile configuration of open/closed back. Complments the Darhorse and other amps nicely. Great bass response but still cut thru mix due to the Greenback speaker...think Fender DDRI with mid attitude. Recommended! 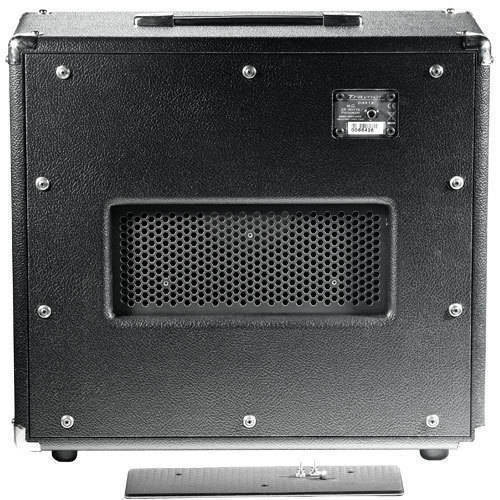 rented from Long and McQuade... put a egnater tweaker through it.. was way to bright.. maybe its the amp, but couldnt get any serious bass low sounds out of this cab. Very well made, nice removable back panel.. just a little bright for me. I just acquired this speaker cabinet along with the Traynor Darkhorse head. This is the sound I've been looking for, for the last 40+ yrs, without the super loud volume that the neighbors 3 blocks away can hear. Yes, I know, I am getting old. Real bottom end, crystal clear highs. In the past I've owned several other Traynor's, a couple of Fenders, Marshall, a couple of Garnet's, Roland. I highly recommend this Cabinet. 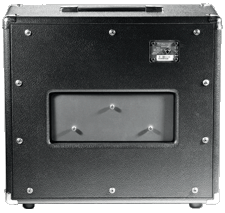 It's a closed cabinet with a very easily removeable panel in the back (if you want open back) no tools required to take off the 3 screws with large knurled heads.